Pediatric therapy has changed a lot since 1979—our dedication has not. The Children’s Therapy Center’s mission is to provide quality physical, occupational, and speech therapy services to the pediatric population in a family-friendly, informal environment. It is our promise to treat all children and families with the utmost respect, give excellent attention from a committed staff, and provide personalized and individualized care. We recognize that all children deserve to reach their maximum potential in order for happiness and contentment to be achieved. It is our intent to provide a few “Rays of Sunshine” to those who need our services. 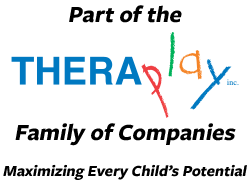 The Children’s Therapy Center is a multidisciplinary practice that offers outpatient therapy services for children from birth through adolescence. We offer traditional weekly therapy, intensive therapy sessions, as well as consultative services. We receive referrals directly from pediatricians and pediatric specialists throughout the Washington, D.C. area. For patients who have been discharged from inpatient care, we are the next step in their rehabilitation journey. The Children’s Therapy Center participates with many private insurance companies. Suzan Syron has been a practicing pediatric physical therapist since 1973. She is trained in Neurodevelopmental Treatment (NDT) and has advanced training in baby treatment. She is certified in the administration of the Sensory Integration and Praxis Test. She has been an adjunct professor at Marymount University, Doctor of Physical Therapy Program, and has taught pediatric courses at Shenandoah University and George Washington University. She has co-instructed several NDT certification courses, and has provided multiple presentations to physician groups and parent organizations. After many years working in a variety of pediatric settings, including schools, medical facilities, intensive care units, and rehabilitation centers, Suzan decided to fulfill her dream of providing services to children in her own practice. Suzan Syron and Associates, P.C. opened its doors in 1979 and has steadily grown from an individual practice to a multi-service facility. 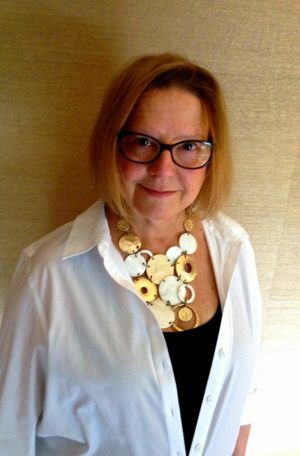 In 1991, she co-founded the Northern Virginia IDEA Center, which was a collaborative partnership with Fairfax County’s Early Intervention program. In 1999, the corporate name was changed to THE CHILDREN’S THERAPY CENTER in order to more accurately reflect the wide array of services available. Suzan strongly believes in community service and because of this, she has volunteered her services through many local programs and advisory boards. Suzan contributes her time and resources to the Fairfax County Park Foundation and is the co-founder of the Kelley Syron Sunshine Fund which has helped fund the building of Chessie’s Big Backyard, an adaptive playground. The Children’s Therapy Center staff donates annually to the Loudoun Citizens for Social Justice/LAWS organization. Suzan is also co-founder of the Nain Foundation, a program that provides school supplies and sports equipment to a village school in rural India. Fill out our New Patient Forms before your child's next appointment.